Groove Jones is an approved developer for Facebook, Snapchat and Instagram. 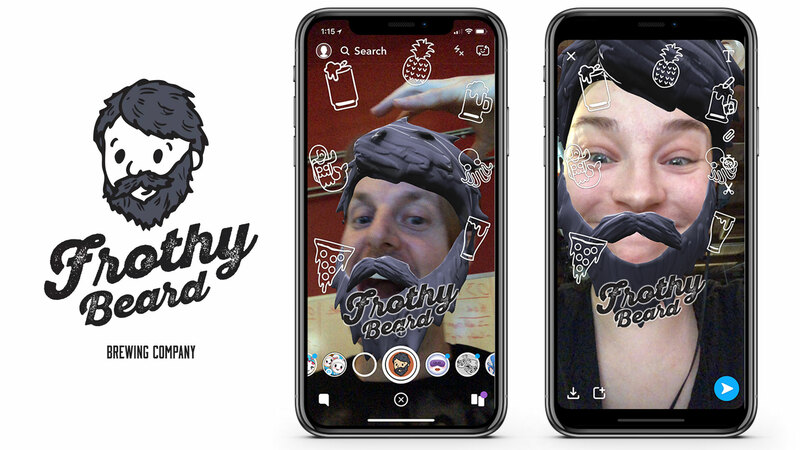 We are publishing AR Lenses and Filters for our clients that want to engage on these social platforms. Augmented Reality Lenses and Filters are very similar. They both superimposes a computer-generated image or animation onto a user’s view of the real world, thus providing a composite view. These AR experiences come in various formats including face filters and AR objects. 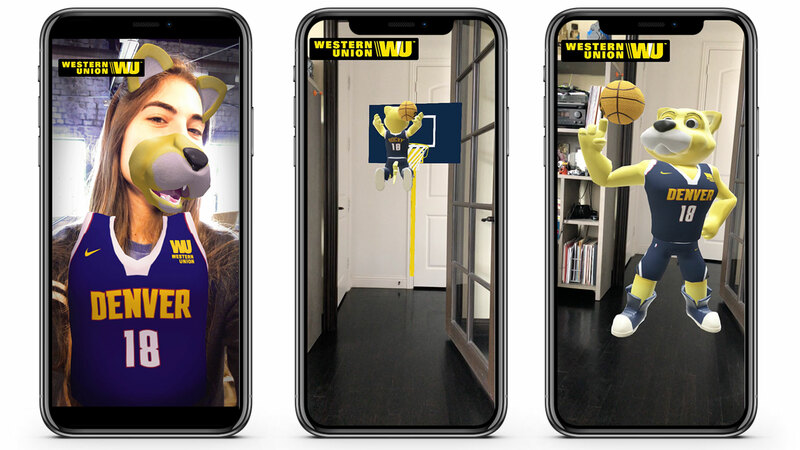 Users engage with these AR experiences by simply pointing their camera and recording what they are seeing. Since they are integrated into a social platform already, they are highly sharable. These experiences work on both Apple and Android devices. Take a look at some of the case studies of the AR experiences we have created for our clients. If they include a QR code or Snapcode, you can scan them and launch the AR experience on your mobile device. You may have found us through www.armurals.com or through the many articles and press we have received. Turn your wall space into an interactive experience without needing to download a new App. We are developing some buzzworthy experiences that can be activated through any of the social platforms. To the naked eye, the mural is static, immutable, but with AR the image is placed within a dynamic scene. 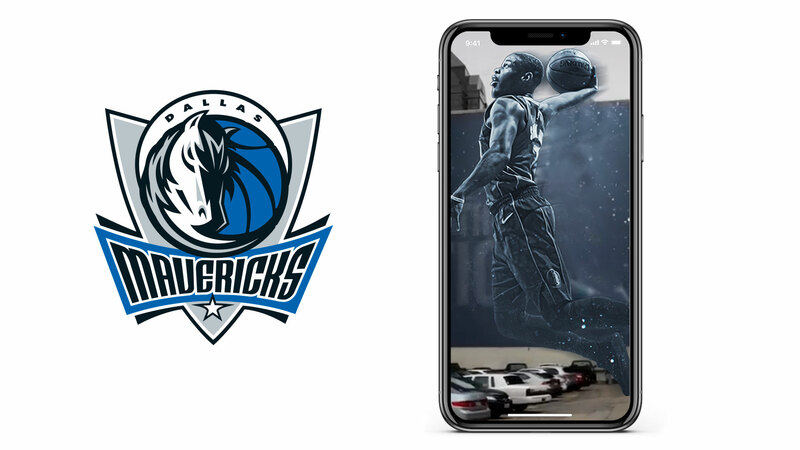 We are creating some exciting OOH (Out of Home) experiences for brands like the Dallas Mavericks, Denver Nuggets, and Western Union. 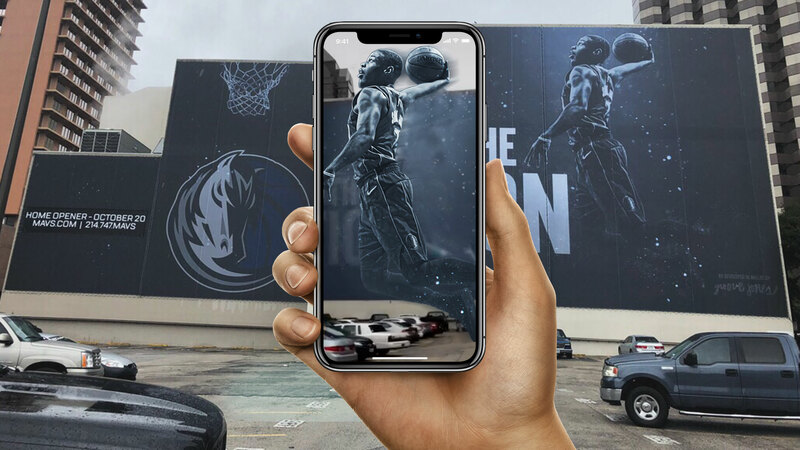 AR will help static art billboards and murals better connect with onlookers because of its ability to make the image and message more evocative. Below is an overview of the services we provide for both social platforms. For Snapchat, we can create Snapchat AR Lens. 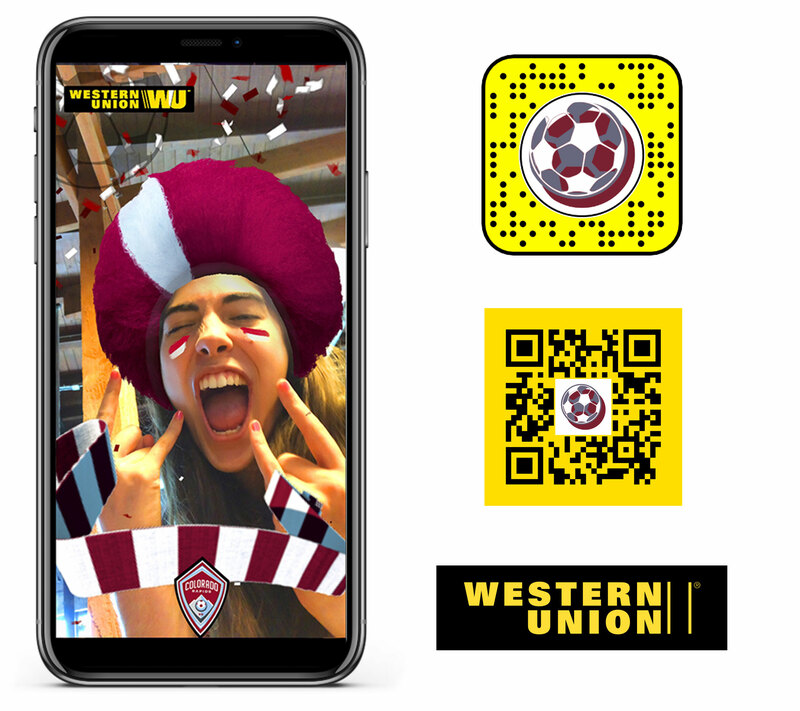 An AR Lens is a computer-generated object that can be placed in a users environment when used with the camera to create a short video or photo. 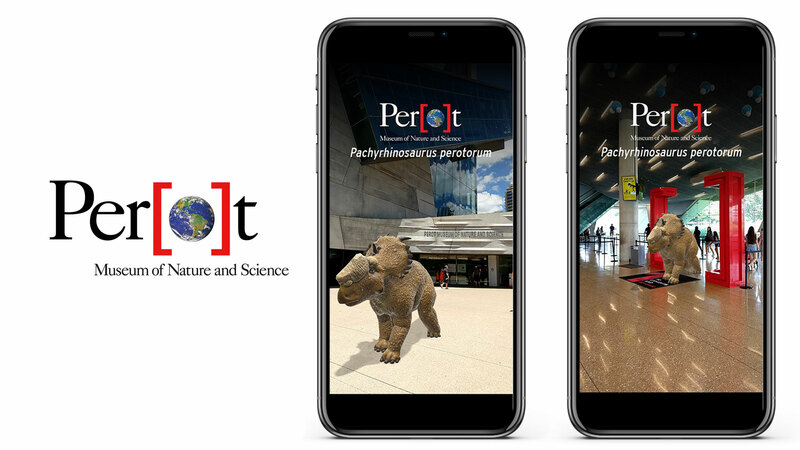 An AR Lens is free to publish and distribute and share on the platform. The AR Objects can be animated, interactive and have some intelligence. Groove Jones will design and develop a custom AR Lens for you to share on the platform. 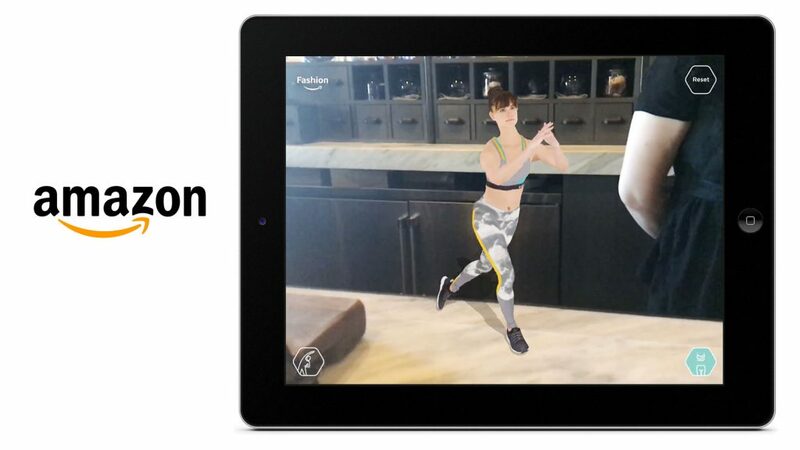 The final deliverable will be a compiled Project Package (AR Lens) containing all the necessary animation, Optimized 3D CGI asset, textures and data to run within the Snapchat App. 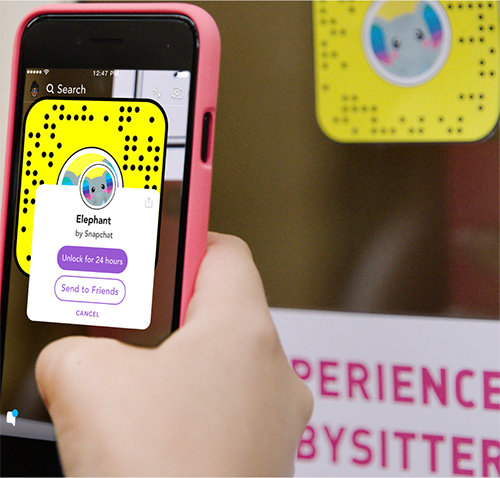 An AR Lens can be shared by sending a Snapcode to your friends. Or a user can access the AR Lens by scanning a Snapcode though the Snapchat App. Snapcodes are unique, scannable codes that make adding new Snapchat friends AND opening Snapchat content such as filters really easy. 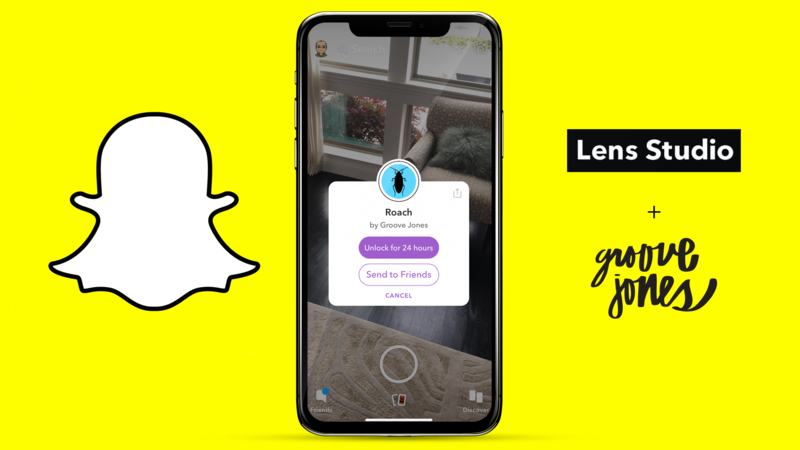 Simply launch the App, point your camera at the Snapcode and the App will automatically unlock the AR Lens for 24 hours. You can send it to your friends as well. Now that a user has unlocked the filter via a Snapcode or received the lens from a friend who decided to share it once unlocked. Once unlocked, you can “Snap” your own videos or pictures using the lens in your own unique way. 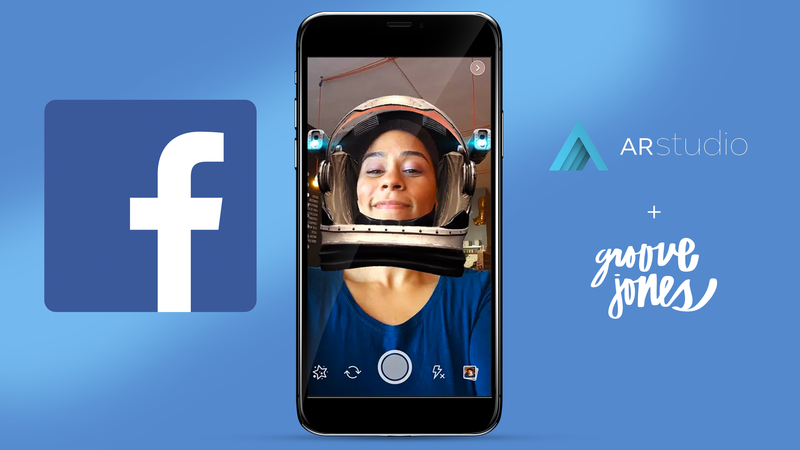 Facebook has a similar publishing platform, which allows us to upload AR Objects and AR Filters for use through the Facebook App. Use data, particles, animations and more to create shareable, interactive effects that respond to facial expressions, movements, and your surroundings. Facebook has categorized their AR offering in two ways. 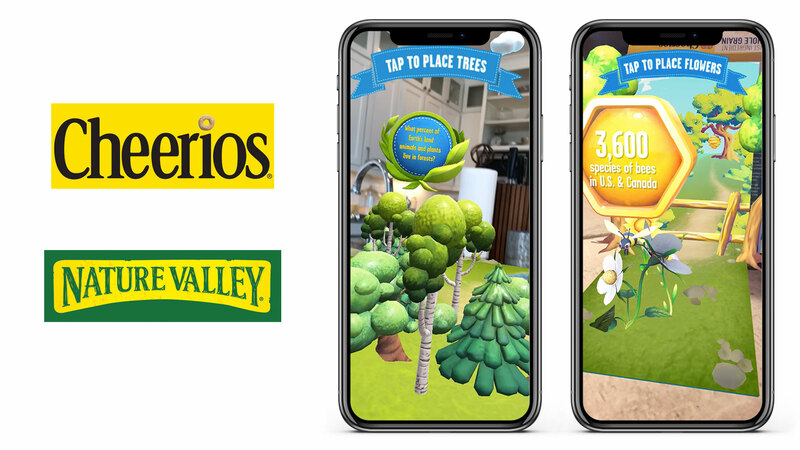 AR Objects – Are 3d objects that can be placed and viewed through the camera system. AR Masks – Are AR face filters that automatically detect the users face and apply a 3d overlay to their face. The AR Objects and AR Masks can be animated, interactive and have some intelligence. Groove Jones will design and develop your custom AR filter for you to share on the platform. The final deliverable will be a compiled Project Package (AR Lens) containing all the necessary animation, Optimized 3D CGI asset, textures and data to run within the Facebook App. As an approved publisher, there is not a charge to upload your Lens or Filter on the platforms. Let Us Build One for You. Reach out and contact us anytime. For more information, reach out and contact us anytime.